How much more are you prepared to take? Every day new ways of restricting citizens are developed, bought and sold. It's time for us to take a stand, and refuse to comply with what they don't want us to do. What restrictions won't you stand for? Products and services are now so frequently locked down that it's easy to accept the problems that they cause. Share examples of how they've made your life difficult; don't stand for it! Retailers and advertisers know that they lock down their products, and they work hard to ensure that prospective customers don't find out. Use these stickers to expose their secrecy and state the facts where it matters. Replace treacharous Android with a copy that's made by people like you who care about privacy and security. Forcing people to use closed standards locks them into monopolies, and out of choices and freedoms. Campaign with us for standards that are good for everyone. 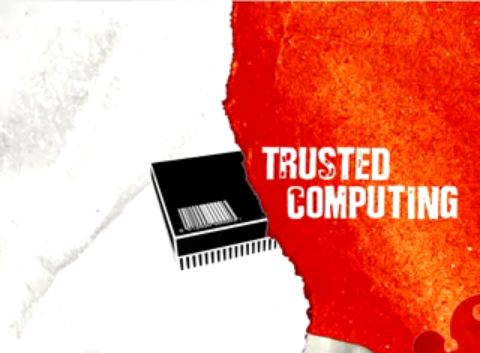 What does "trust" have to do with "Trusted Computing"? This animated documentary explains. DRM.info is a collaborative platform initiated and maintained by FSFE to inform on the dangers of Digital Restrictions Management and make visible the concerns from various different groups.